QVC Beauty with Benefits 2019 free gift bag event has begun April 1at, 2019. This year with any purchase from qvc.com/beauty-with-benefits at QVC, you will get a free 13-piece QVC Beauty With Benefit Gift Bag worth at least $203. When you shop this event for cosmetics & more donated by top brands, 80% of your purchase price benefits Cancer and Careers. QVC The shipping cost is usually $3 but during the promotion time, all these items shipping cost is reduced to $2! Is it your first purchase? See coupon code below. QVC just launched their annual QVC Beauty with Benefits 2019 event today. This is their spring event and while supplies last. You’ll get a fab Gift with Purchase (a $208 minimum value, one per customer), and shipping on each item in the lineup is just $2. Receive a special Gift with Purchase and tote bag filled with 13 items with a minimum value of $208, one per customer. Here are the 26 QVC Beauty With Benefits 2019 products! Your purchase benefits Cancer and Careers, which helps those living & working with cancer. 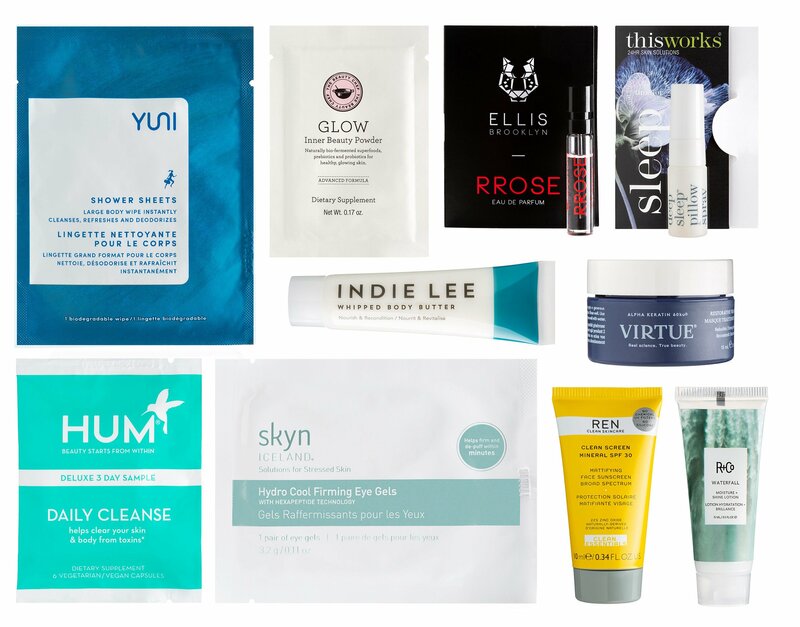 As thanks, we’ll send a Gift with Purchase*—a tote bag filled with gorgeous goodies from top brands like ELEMIS, Perricone MD, Skinn Cosmetics, KORRES & others (minimum value of $208). Gift with Purchase offer only applies to processed credit card orders & is valid starting 4/1/19, while supplies last. Accompanying gift must be sent to the same address; ships separately. Limit one per customer. Products may vary. Note: Offer is automatically applied (while supplies last) & will not appear in cart at checkout. $5 off Your First Order With Code FIVE4U Limited Time including all beauty or try: $10 off use code TEN4U. The Peter Thomas Roth 3pc kit is only $14.50 shipped (OOS). UPDATE: I ordered MAC palette. The gift bag is arrived together with my palette. This is what I’ve got this year from QVC beauty with benefits, it’s the best one ever! I’ve participated every year. Just in case you missed other blog posts in this series, link for 2017 gift bag review and here is the link for 2016 event review. When do you usually get the gift bag? I purchased but never got it. Hi Jennifer I received the gift bag together with the MAC palette I ordered.